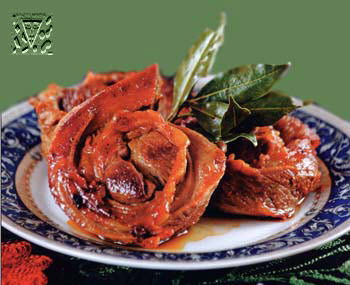 Tatar cuisine is very rich with various dishes and products to tea. Them prepare from a flour, applying fats, sweets, fruit. Usually these products decorate a tea table, therefore them do figured. Figured Tatar bagels. 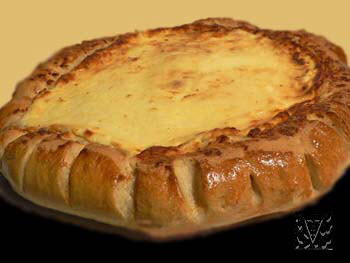 Knead unleavened dough with a sugar and butter considerable quantity. To cut pieces in 200-300 g and to unroll in the form of sausage in the thickness 2 sm and 10-15 sm long. Make of figure sausages (shishara), to shift on a frying pan oiled, and to put in the heated stove or an oven. Submit to a table having strewed powdered sugar. On 1 kg of a flour: 600 g butter, 300-400 g sugar, 1 glass of powdered sugar. Ayran (a drink from katyk). Ayran use, as a rule, in hot summer days. It can be submitted to a table with millet cereal or with mashed potatoes. To pour in ware katyk and, stirring a wooden spoon, carefully to knead all lumps; having added in katyk the cooled boiled water, good to mix, and ayran is ready to the use. 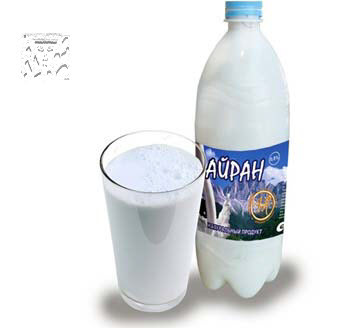 For preparation ayran use the spring water, the cooled mineral waters. At will in ayran put granulated sugar or salt. On 100 g katyk take 100 g cold water. 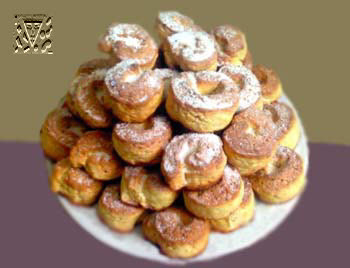 From the most ancient times koumiss is known among Tatars as a drink restoring force. Today the drink prepares basically in the medical purposes and consequently loses a secret of the preparation. For koumiss undertakes filtered mare's milk, and added special ferment or good koumiss of the previous development (a half-glass on 1 litre of milk). All it well mixes up in a current of 20-30 minutes. The fermented milk densely close and put in a warm place at 3-5 o'clock, then again well disturb 20-30 minutes and in a warm place. Procedure is repeated by 3-4 times. After that koumiss spreads on bottles, is corked with stoppers and maintained from days to three. Before the use ready koumiss shake up before foam occurrence. 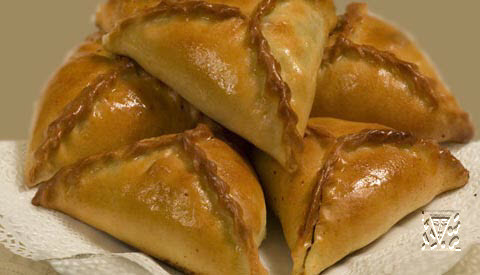 Hot snack from mutton widespread among the Nizhniy Novgorod Tatars. It prepare from mutton ribs. Brisket good to wash out and dry, cut meat by ribbons width in two fingers. To lay out the cut meat in a soup plate, to salt, pepper, add vinegar, a bay leaf and good to mix. To cover ware and to put in a cold place at 2-3 o'clock. In a frying pan to warm up vegetable oil, to roll up ribbons of meat by circles and to fry from both parties to readiness. To a table the dish moves in a hot kind. The beef or mutton tongue having washed out in cold water, start in boiling not salty water. Having finished to readiness add salt. Ready tongue the hot shift in cold water (the cooled down tongue is well cleared of a skin). Clean tongue again not for long boil in salty water and then cut by noodles in 3-4 mm of width. Again not for long boil. Separately fry onions. In a soup plate mix ready tokmach-tel with onions, sour cream having added to taste salt, pepper and having divided for the portions in a hot kind submit on a table.